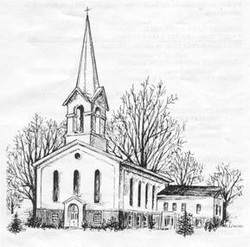 The History Committee of the First Congregational Church, UCC Spencerport gathers, reviews and maintains items relating to the history of the church. We are responsible for the preservation of those things that will convey our heritage to generations to come. Please feel free to join the committee if you have an interest in preserving our history. Meetings are generally the 2nd Monday of the month at 1:00PM. Please check the online calendar or Church newsletter for verification.